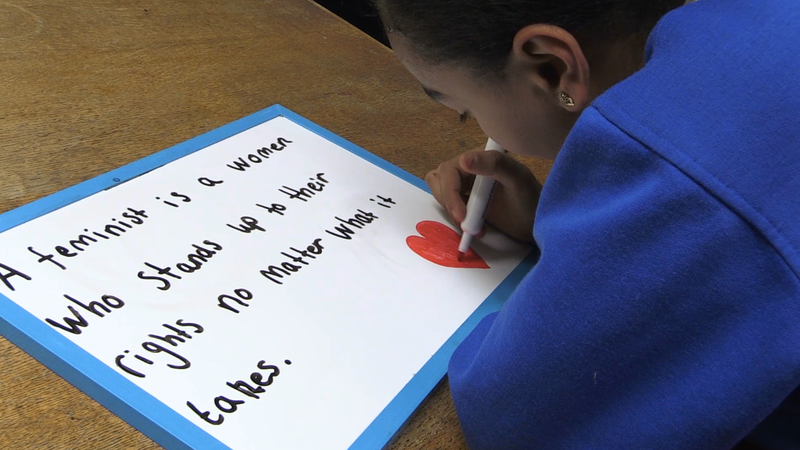 This International Women’s Day follows a year of women speaking out, including the #MeToo and Time’s Up movements – but how much of the discussion has trickled down to children? 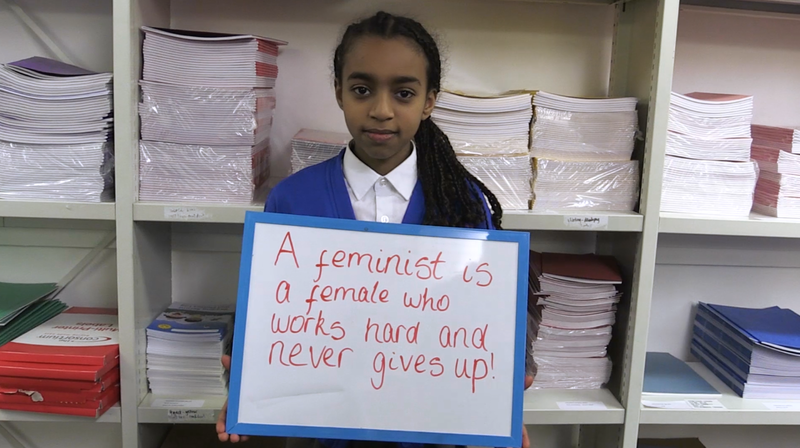 Here, a group of 10 and 11-year-olds from Burdett-Coutts & Townshend Foundation Primary School in London offer their thoughts on feminism, feminists and the challenges women face. Christiana:: I think it means rights for women and it shows you should never give up in anything you do. Because you should always be equal between women and men. I don’t think men should be at the top of everything because women can achieve. Tayah: It’s the opposite of a male, which is a female. That’s what I believe. Mohamed: It’s about women’s rights and they should be able to have their own rights and be able to do the same thing as men. They always used to think men were always better than women and so women wouldn’t be important to the world. But if they weren’t important that wouldn’t be fair for everyone because everyone needs to have their own rights and show that everyone is the same. Ernest: Boys usually look down at them (girls), but it’s actually wrong because everyone’s equal and everyone has rights. So they should be equal with everyone else. Aram: I think a feminist is a woman who doesn’t let any man get in her way and most men try to get in their way, but some women are really strong. Sonia: Sometimes people also think that a feminist is a female who is really powerful and confident. Ruth: Someone who, when they’re set challenges they try to overcome them and even though people try to put them down they still rise above that and they keep on going. Tayah: I believe it’s someone who never gives up and they like to face challenges like giving birth, and they always reach for their goals. Do you know any feminists? Aram: I think every girl in the world is a feminist. Because even if they are babies it doesn’t matter, once they grow up they will still be a strong person. Christiana: Rosa Parks. Black people had to sit at the back of the bus and she didn’t think that was fair. So she sat at the front. She got arrested but it boosted all the black people up so they didn’t give up. Every day I wake up and I look up to her and I always try to achieve something good. 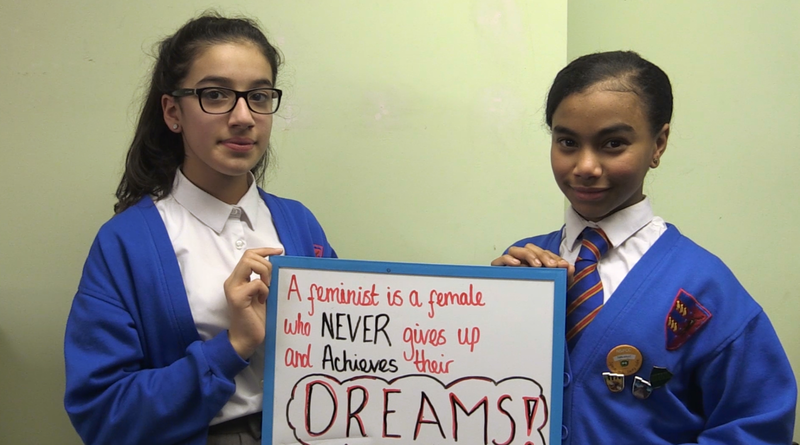 Sonia: I also think my mum and my sisters are feminists because they are just really confident in who they are and they don’t let people overcome them or take control of them. Ernest: My mum, my sister and my sister-in-law. When I was in my mum’s womb she used to work even though she wasn’t supposed to work and then when I was born my sister and my sister-in-law used to look after me when she was working. What challenges do women face? Ruth: Stereotypes because some believe there are specific things only males can do and not females and that’s not true, anyone can do anything they like. There are times when you have self-doubt because of what people say but to be a good female you need to be able to overcome those and reach for your goals. Tayah: I think men and women have to face the same challenges because everybody should be treated equally, it’s unfair for one gender to do something and another not to do it. Ernest: Boys trying to be rude to girls. This might affect their future life as they might have dreams such as being a footballer but boys might crush that dream. 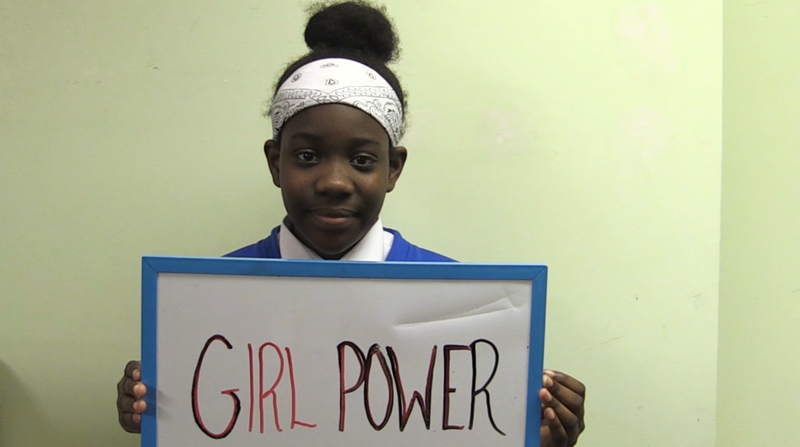 Eyob: I don’t think there are challenges for women because people should be treated equally now, so they should believe in themselves and just carry on with what they want to do. Who are your female heroes? Aram: Miss Gray (a previous teacher). She taught me that every girl in the world can be what they want to be, they don’t have to be a designer in fashion, they can be a footballer or anything. Sonia: I think my mum because, like Aram said, she just tells me I can be who I want and she cares about other people’s opinions but if it’s something not nice then she won’t really take it.